Have you ever fallen in love with a fabric? I fell in love with this fabric one day walking through Hobby Lobby, and I literally spent 2 weeks thinking of something I could make out of it. It didn’t come across as a fabric for a skirt or a dress, so I thought beyond clothes. 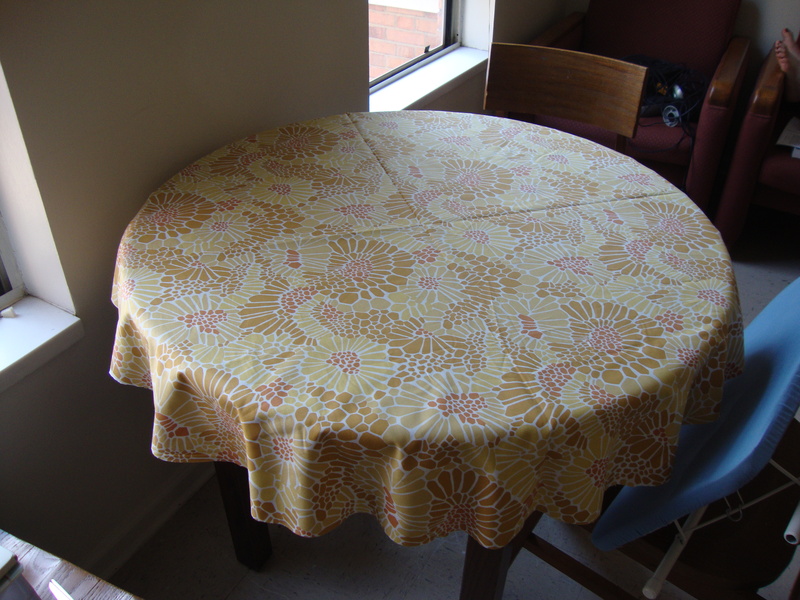 And the idea of a tablecloth finally became clear. So with some measurement and brainstorming, I headed to Hobby Lobby to buy my 3 1/2 yards of the wonderful fabric. 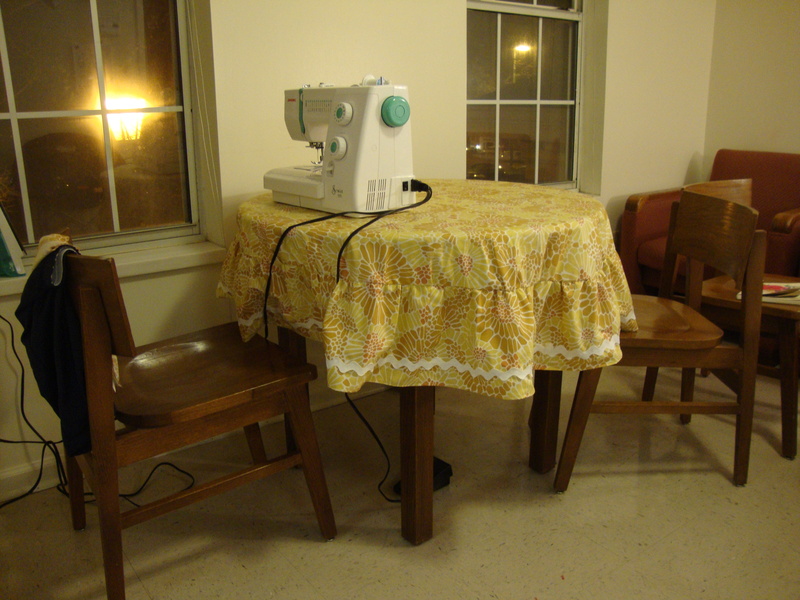 I assembled everything together in the common room of my dorm room. 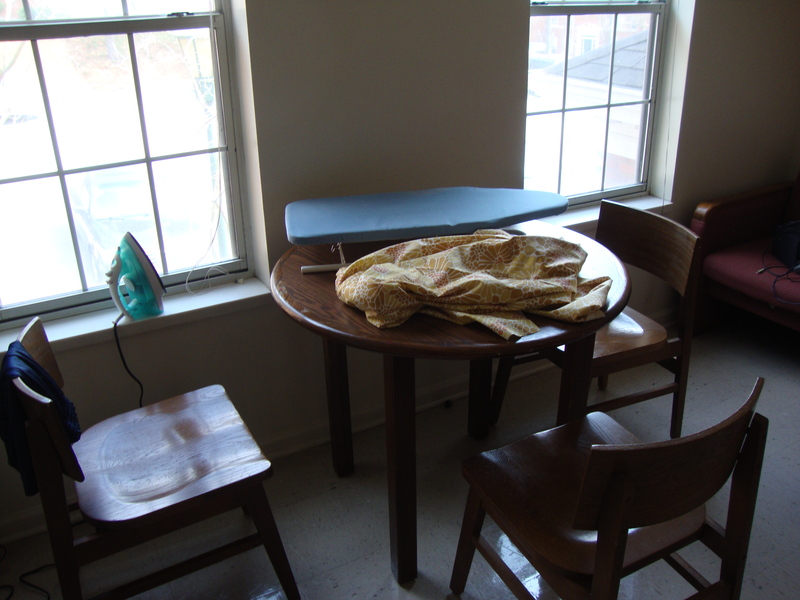 It was definitely a small space (all my cutting took place on the floor), but luckily I had everything I needed, even a dorm room sized ironing board. Step 1 was measuring. I wanted to send this to my parents, so I had my dad measure the diameter of our patio table (42 inches) back home. 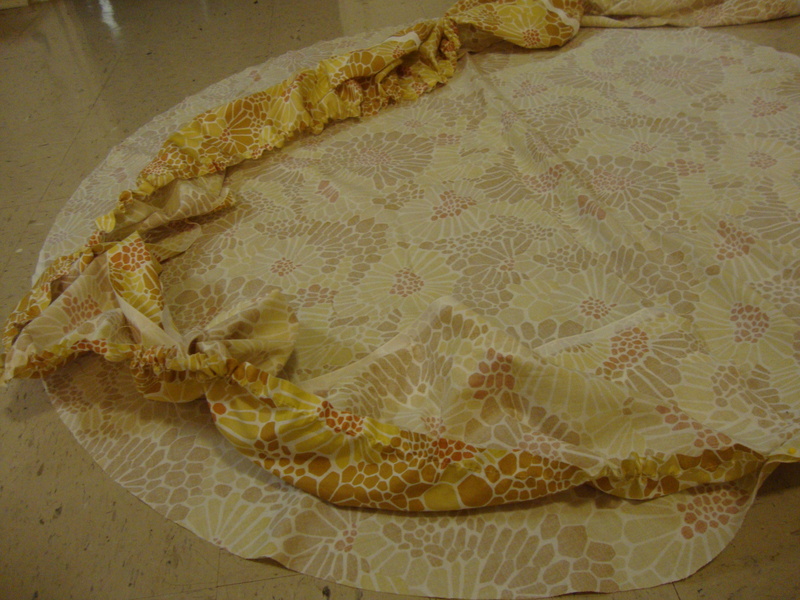 And with 44 inch-wide fabric, I decided to cut the circle with that diameter (since I couldn’t get any bigger). I used a technique to cut the circle from this website that I found when I was doing some pre-sewing research (see her first sketch). But basically, the technique is taking your fabric pencil and attaching it to a string that measures your radius – like a compass circle. After marking, I simply made the cut. 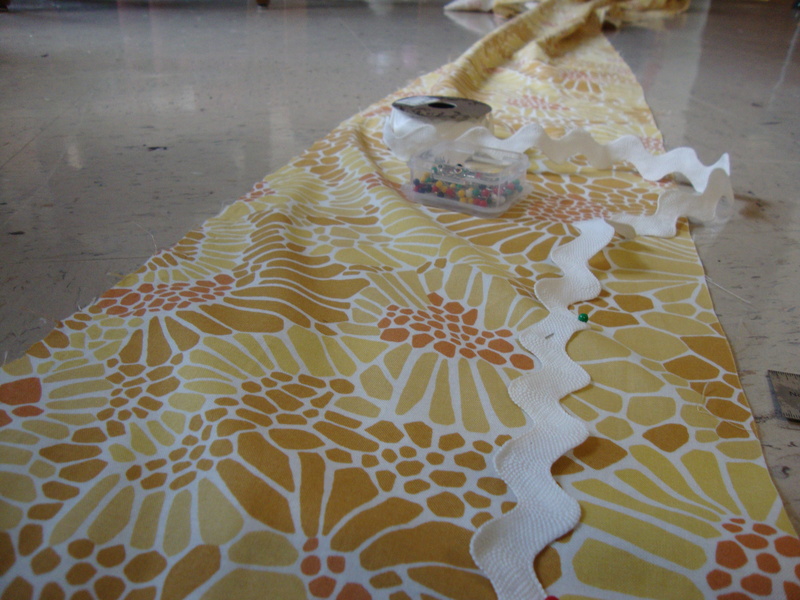 With the top done, step 1 is complete, and it’s time to more on to the ruffled skirt. And we start step 2 like step 1 with lots of measuring. 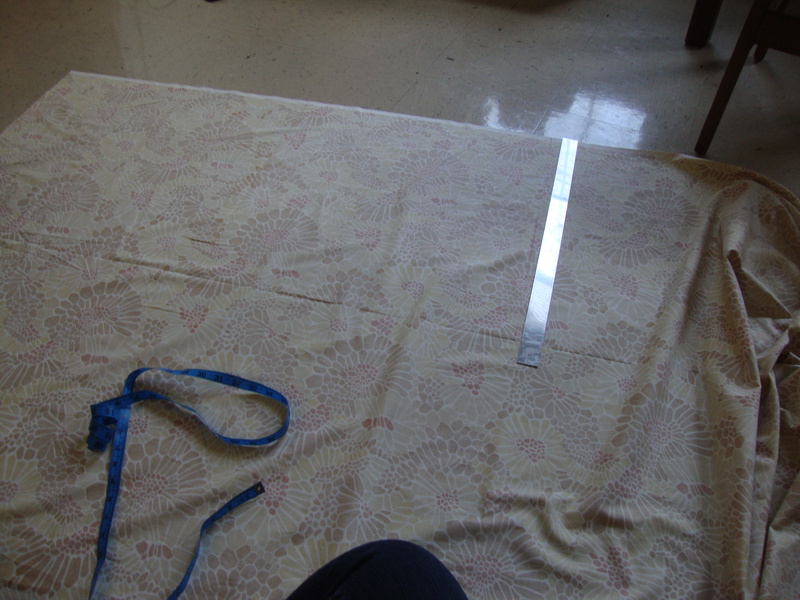 I measured two long panels 10 inches high and 3 1/2 yards long. After cutting them out, I sewed the two panels together, making a one 5 yard long panel and began pinning the rik rac on the fabric. 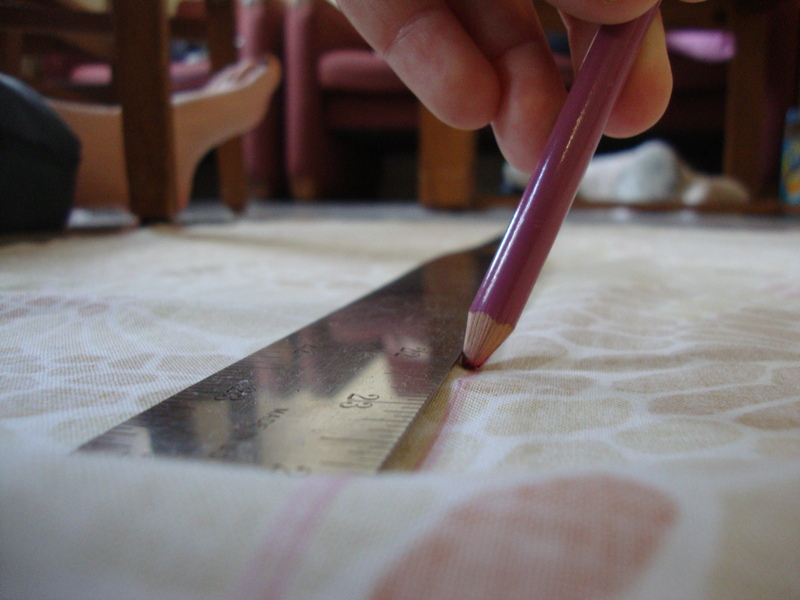 I placed the rik rac 2 1/2 inches above the unhemmed edge. 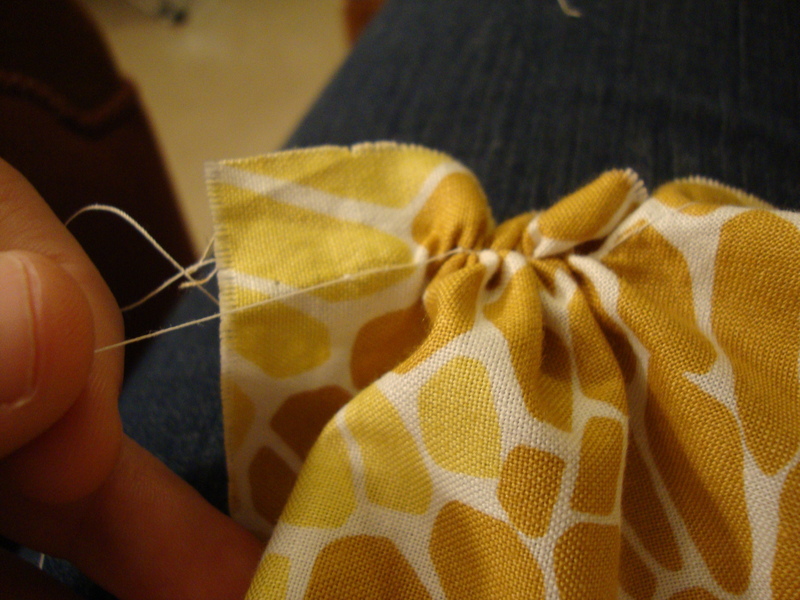 In Step 3, we sew on the rik rac. 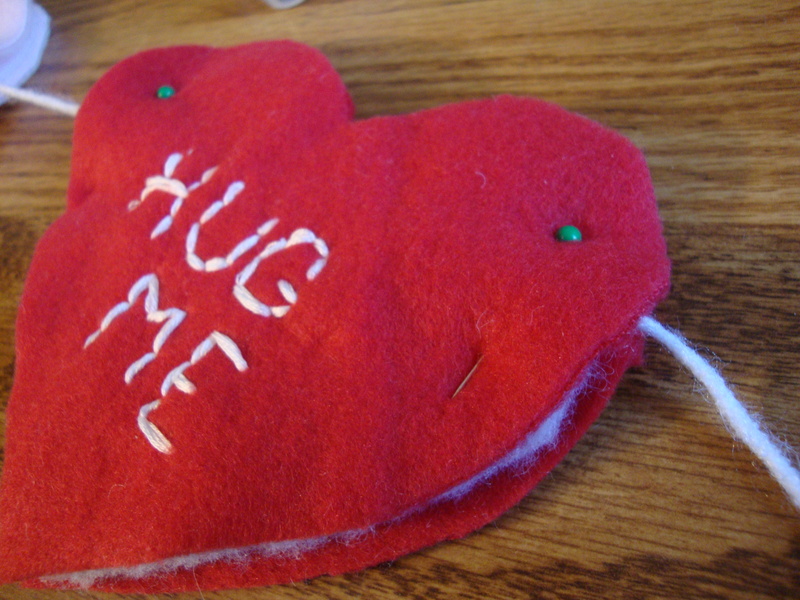 After pinning it down, I simply ran a straight stitch right down the middle of the ribbon. 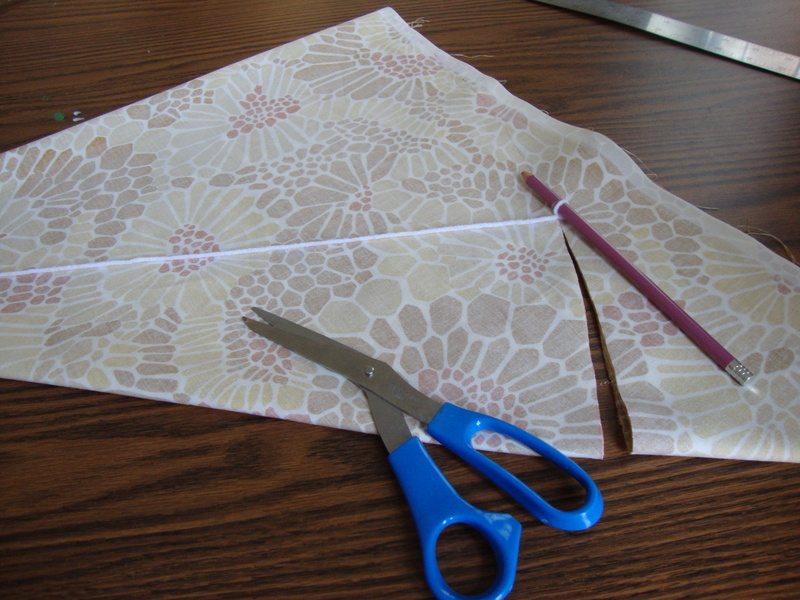 Then I took the time to go back and sew in the zig-zagged pattern, making sure the edges were securely sewed down. 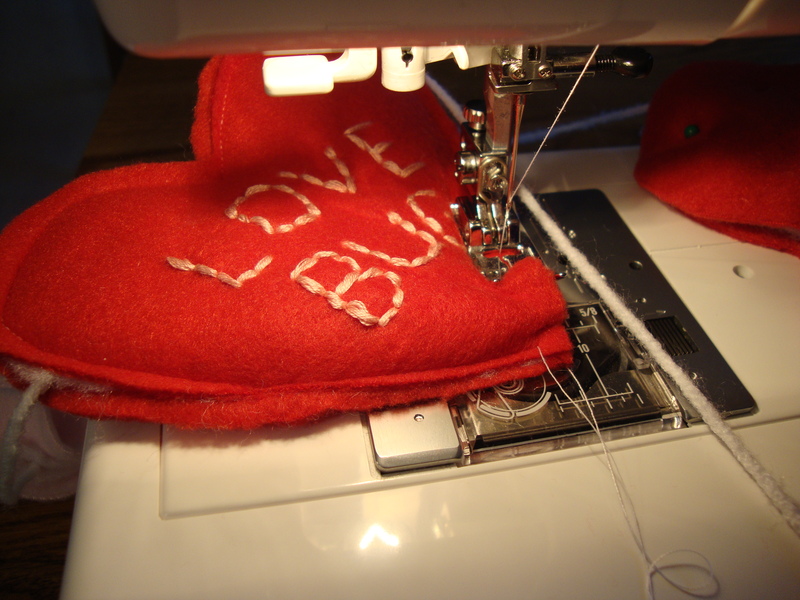 Then I changed the settings of my sewing machine to allow for a looser and longer stitch. 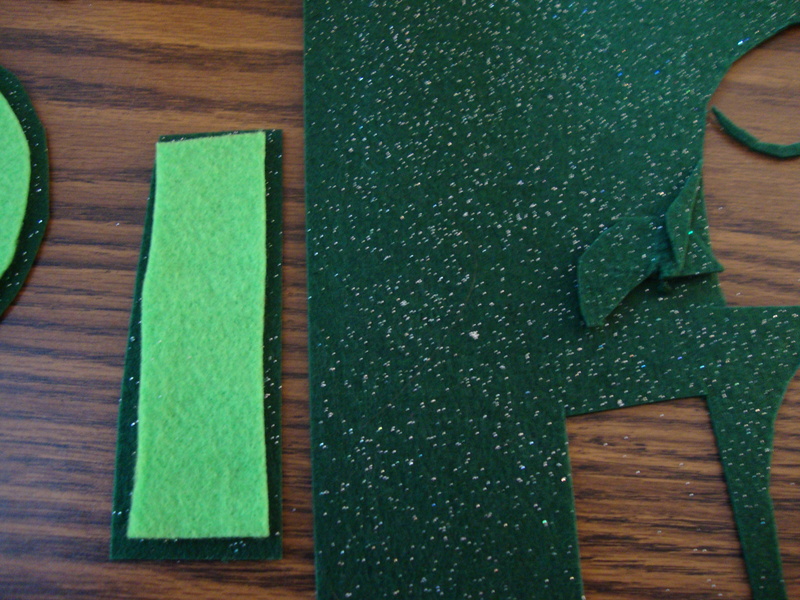 With this, I sewed along the upper part of the fabric, not sewing backwards to secure the ends. 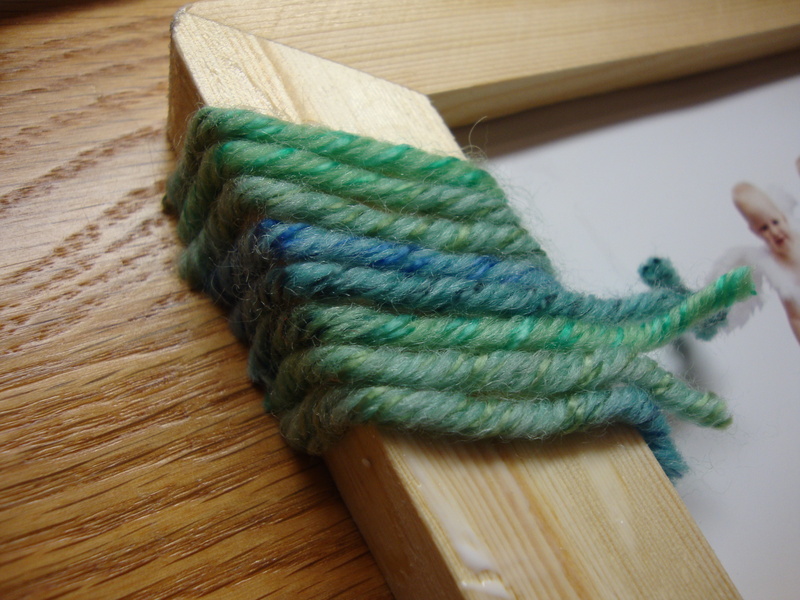 Then, taking only one string on the end, I gently pulled on the string to gather the fabric. Continually spreading out the fabric and pulling the string to gather the fabric, a nice ruffled effect is created. 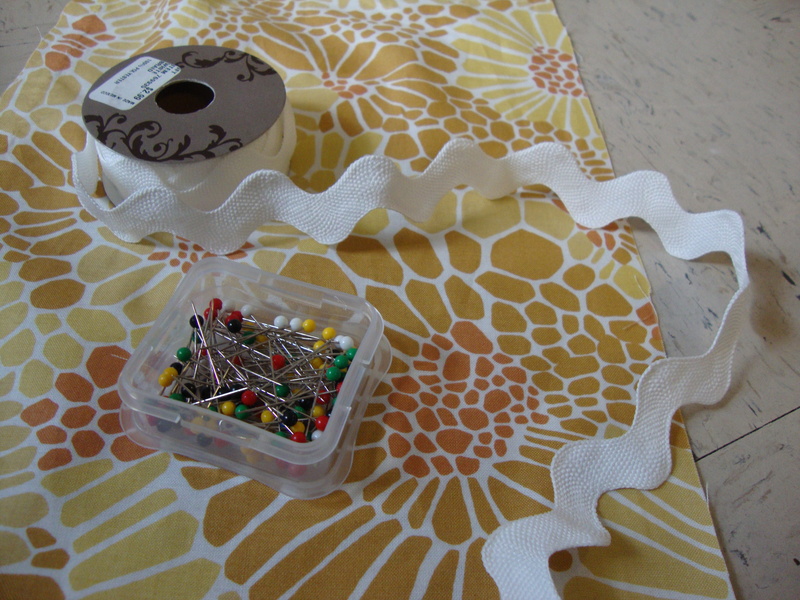 And then with right sides together (ignore the left picture above, it is wrong) pin the ruffled skirt to the circled top. 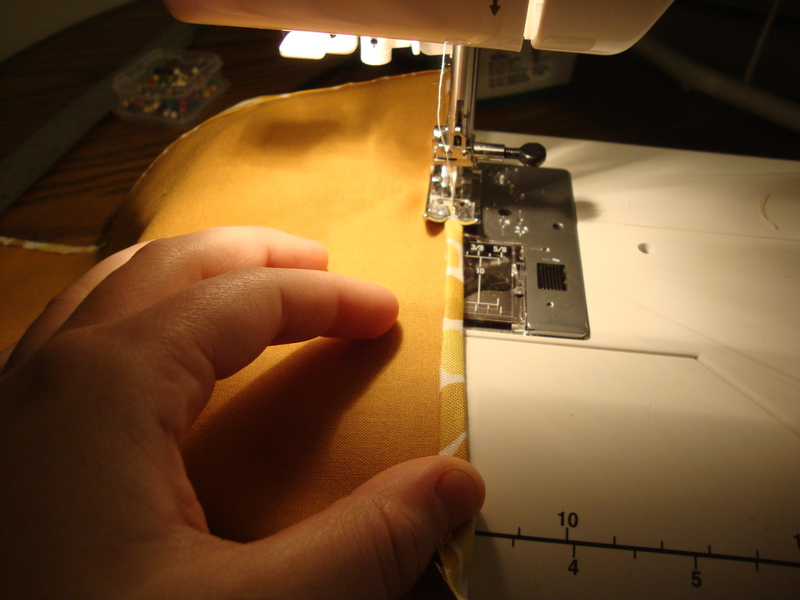 With everything in place, sit yourself down at a sewing machine and sew – using the standard 5/8 seam allowance. 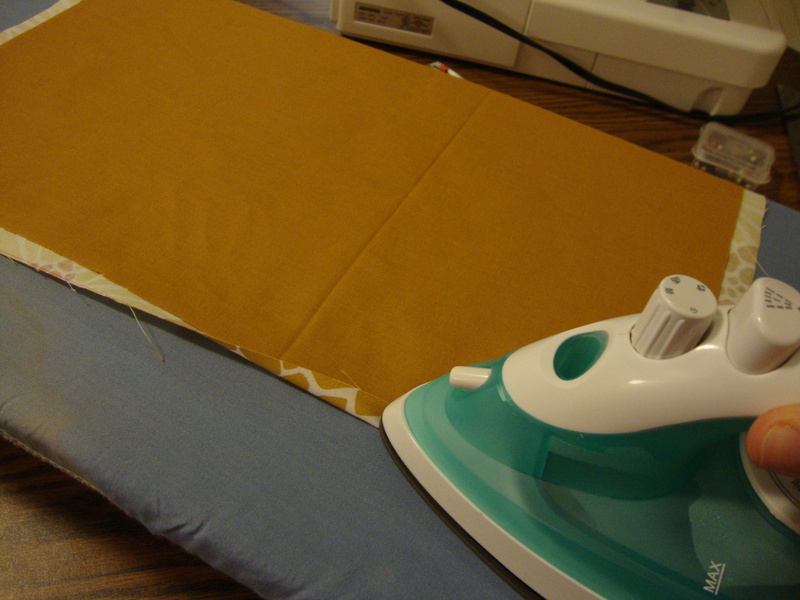 The final step is to sew a hem for the skirt (the easiest part) and iron out all the wrinkles. And ta da! 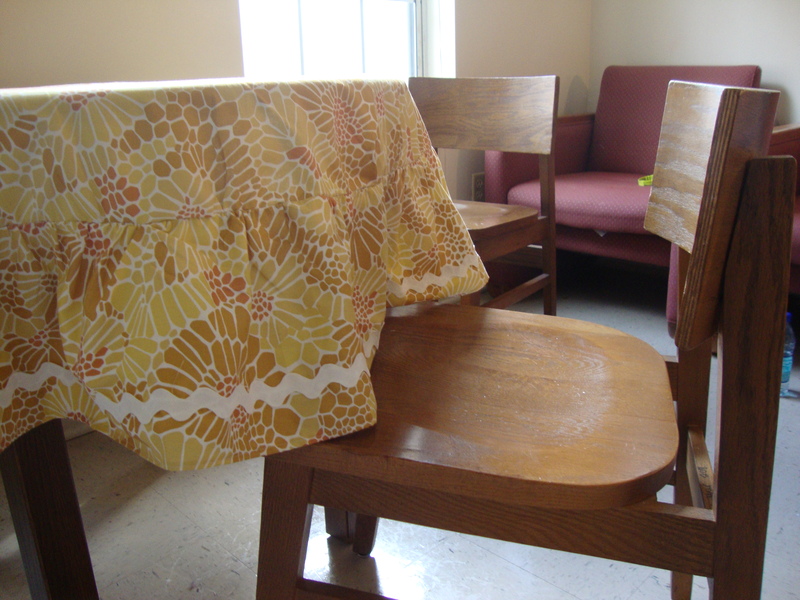 You have yourself a beautiful, spring tablecloth. What’s fancier than having a cloth napkin? Think about it, have you ever been to a nice restaurant that sets the table with paper napkins and plastic silverware? No, of course not. So I have decided that even though the college lifestyle has been defined by paper plates and plastic cups in the past, we are a generation with more of a refined taste. (Or we should try to be at least). On a college budget, purchasing these napkins could be a little pricing (depending on where you go), so of course, I highly suggest the option of making them for yourself. 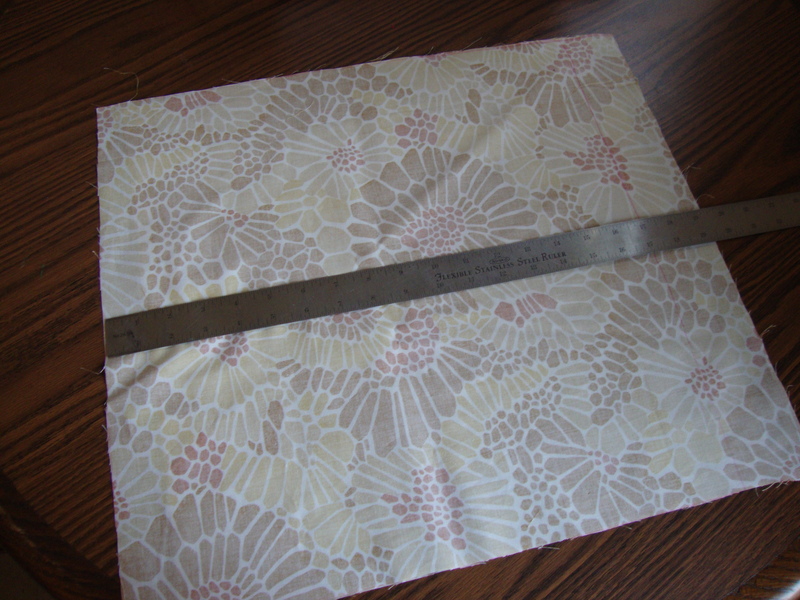 I chose to make 16″ squares for my napkins, so with the patterned fabric, I measured and cut a 17″ square. 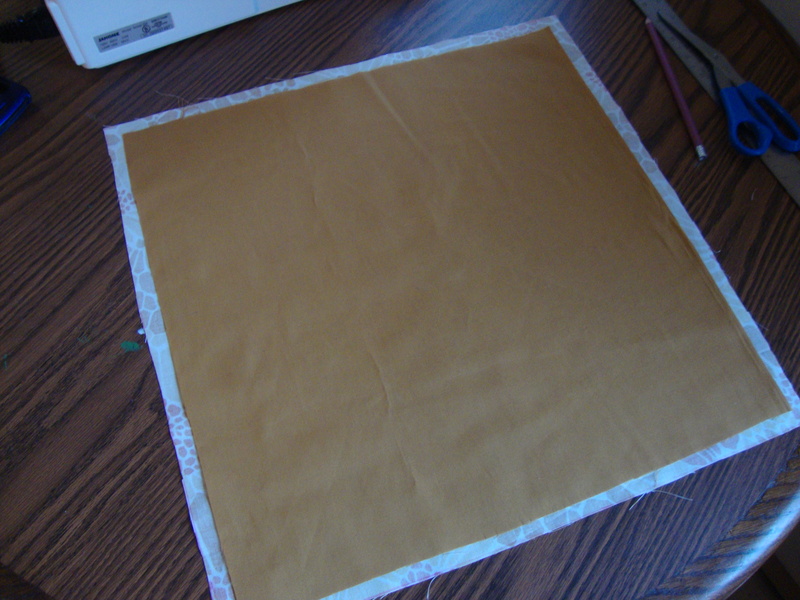 Then with the solid fabric, I measured and cut a 16″ square. 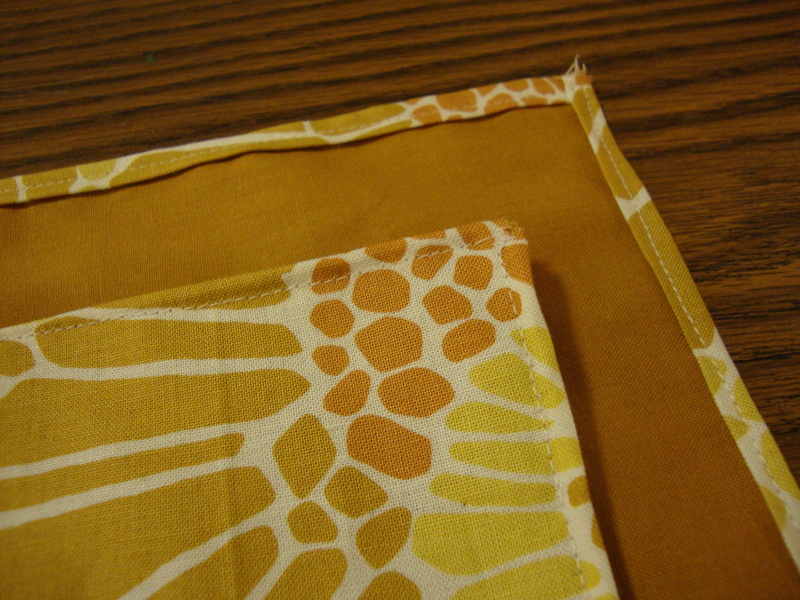 I laid out the two fabrics with the patterned side on the bottom and wrong sides together. 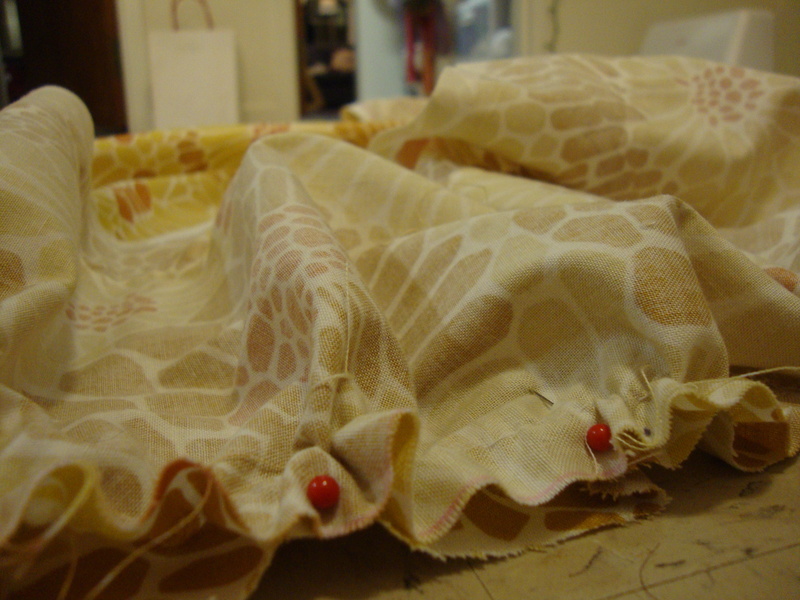 I then took an iron and pressed up the sides of the patterned fabric, pinning the fabric in place for the moment. 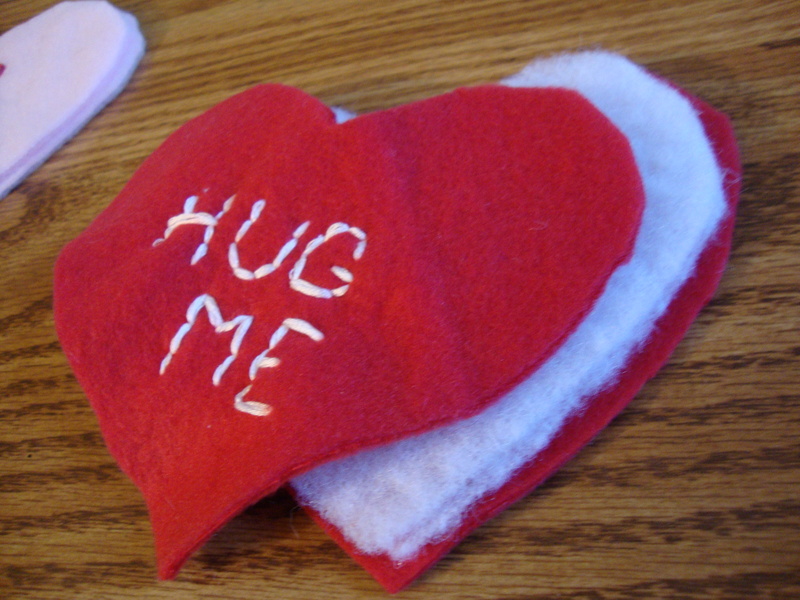 Once sitting down at the sewing machine, I folded the edge under again so the frayed edges was not visible. 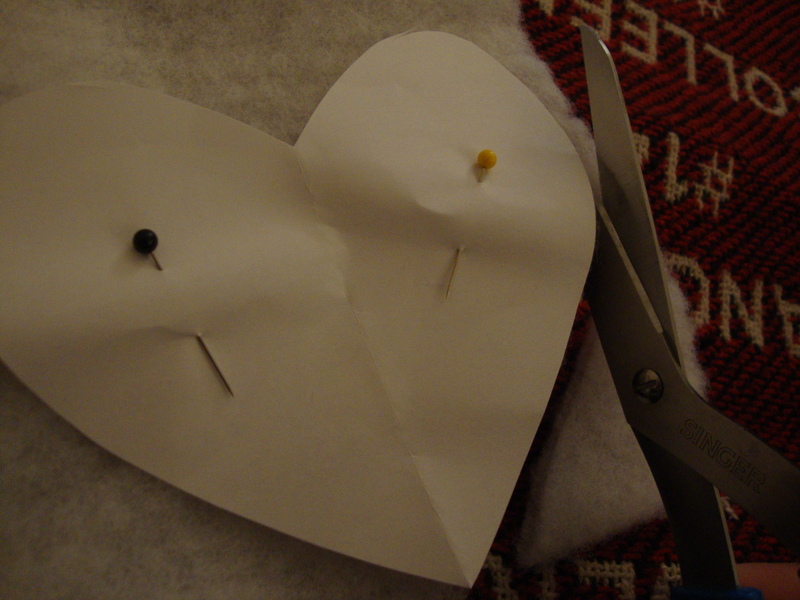 Then I simply straight stitched the edge. It’s as simple as that. Now nothing is stopping you from living a life free of paper napkins and plastic forks! 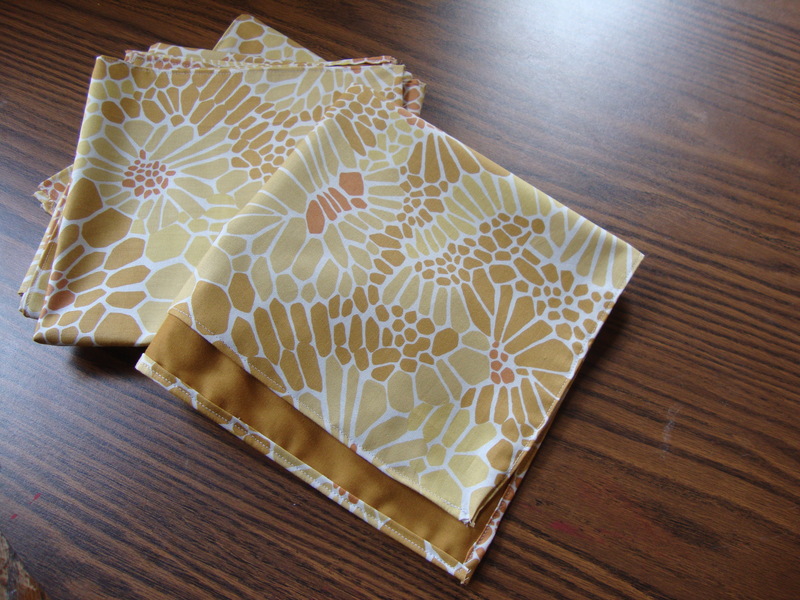 Note: I used 1.5 yards of each fabric to create 5 napkins. If you are like me and could spend hours clicking through the pages of Etsy.com, you understand the value of a good find. It can be something that inspires you or something you simply want to buy to display on your shelf. 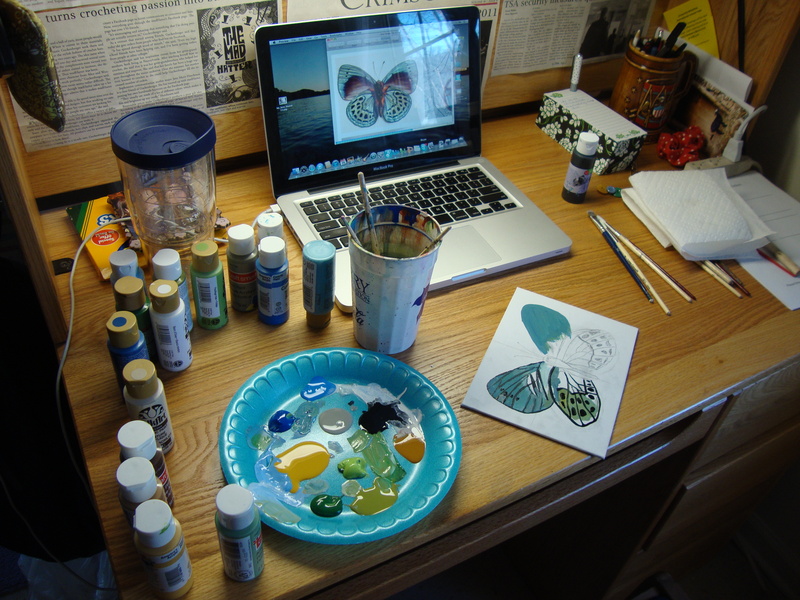 Note: I’ve actually already purchased the Feather Color Study, but I wanted to still include it. The artist has others ones, and mine was only $5. As I have mentioned before, with Step Sing taking over campus, I have had very little time to start anything. But alas, in comes the greatness of painting. 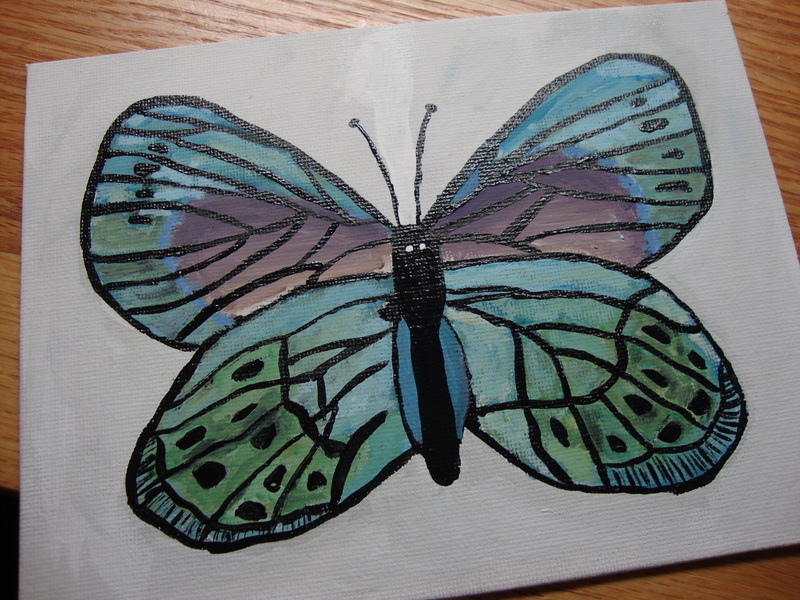 With a free afternoon a couple of weeks ago, I started painting this butterfly. Since then I have worked on it here and there until I was able to finish it this afternoon. Just something for your viewing pleasure until another project comes along. Enjoy! Ever finish a knitting project and realize that your leftover yarn is too much to simply throw away but too little to start another project? Well, do I have a solution for you. 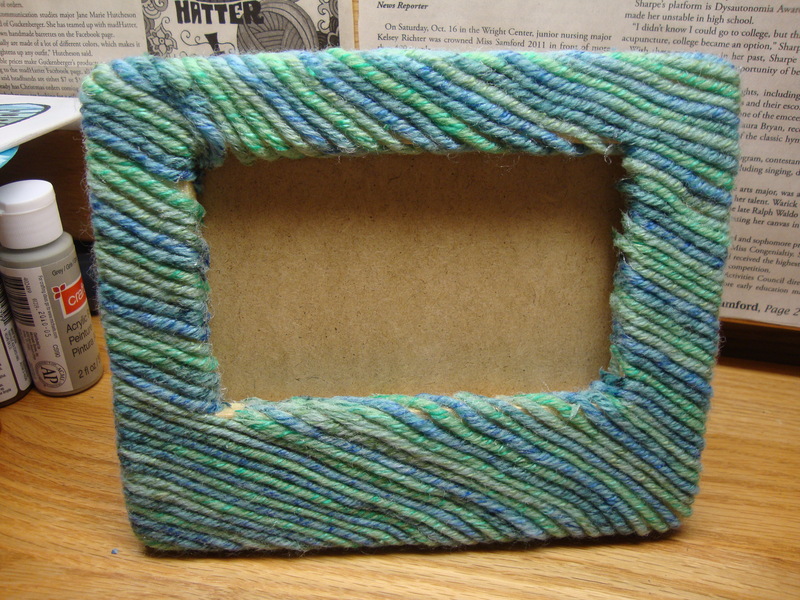 For a friend’s birthday, I knew I wanted to make her a picture frame, but I wanted it to be something I had never made before. 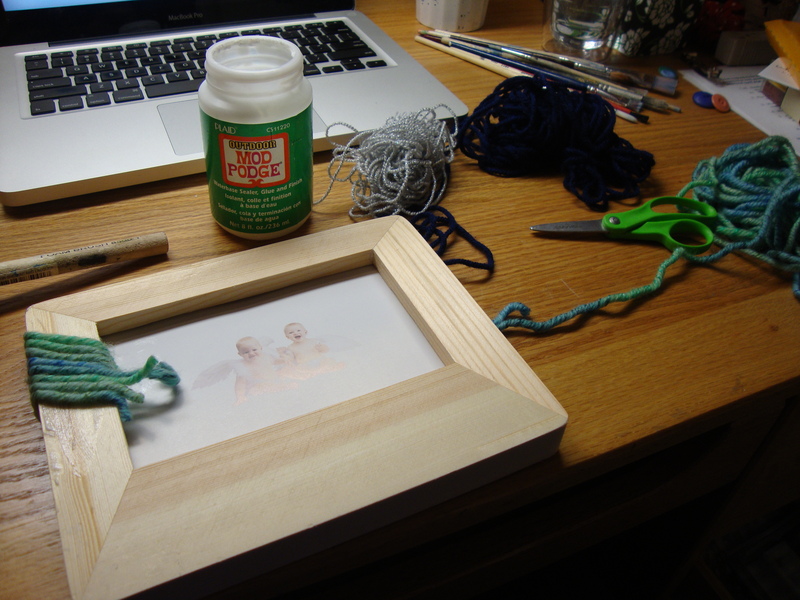 So with some leftover yarn, a wooden frame from Hobby Lobby, and some Mod Podge, I made this adorable, textured picture frame. To make, I simply painted on a layer of Mod Podge and attached the yarn at a slight diagonal, trimming off the edges. The whole thing took me 20 minutes to put together. I played around with adding another layer of yarn or a cluster of buttons, but everything seemed too “crafty cliche.” So in the end, I decided that simplicity was beautiful. The frame didn’t need to be busy; it just needs to show off the picture. 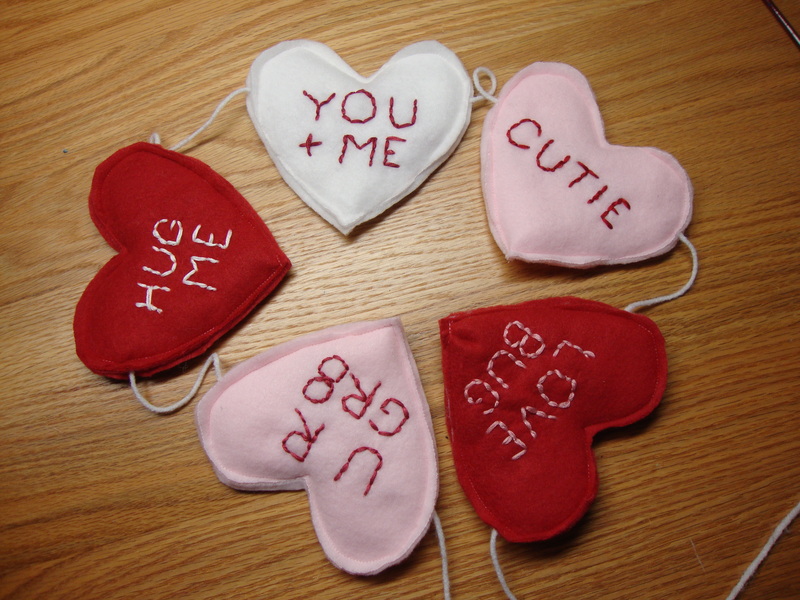 I simply adore Valentine’s Day! Not for the romantic element, but for the fact that it is socially acceptable to go over the top with heart-inspired decorations. This project is the first dorm room project of the spring semester, and I am completely obsessed with it! 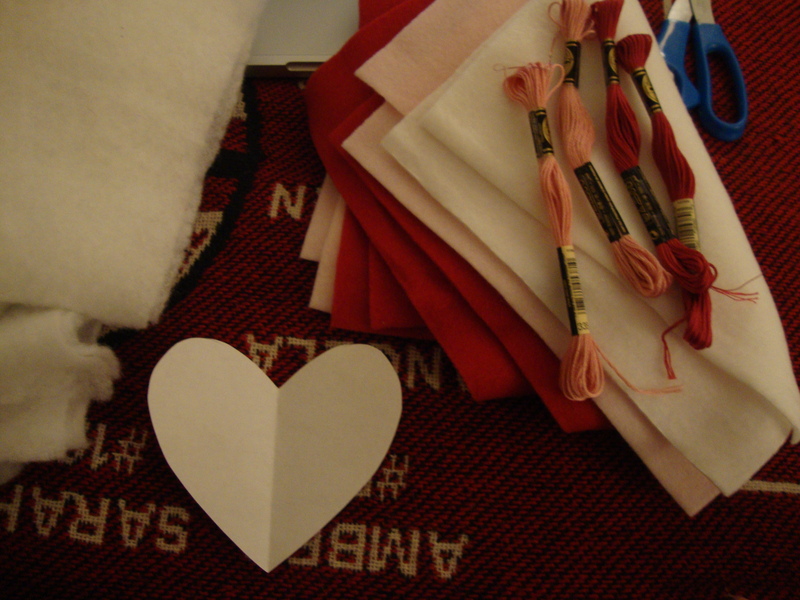 I gathered my supplies – red, pink and white fleece squares (I know, I’m usually all about felt, but I thought the fleece had softer colors), embroidery floss, some leftover quilt backing and a heart stencil I cut out myself. The whole thing is pretty simple. I first cut out the backing using the paper stencil I made. 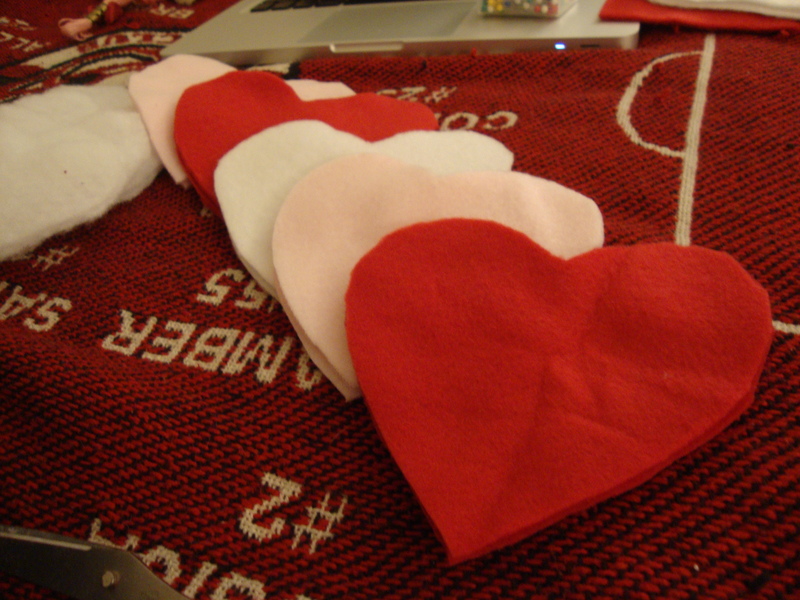 Then using the backing, I cut out the fleece, making the hearts slightly larger. 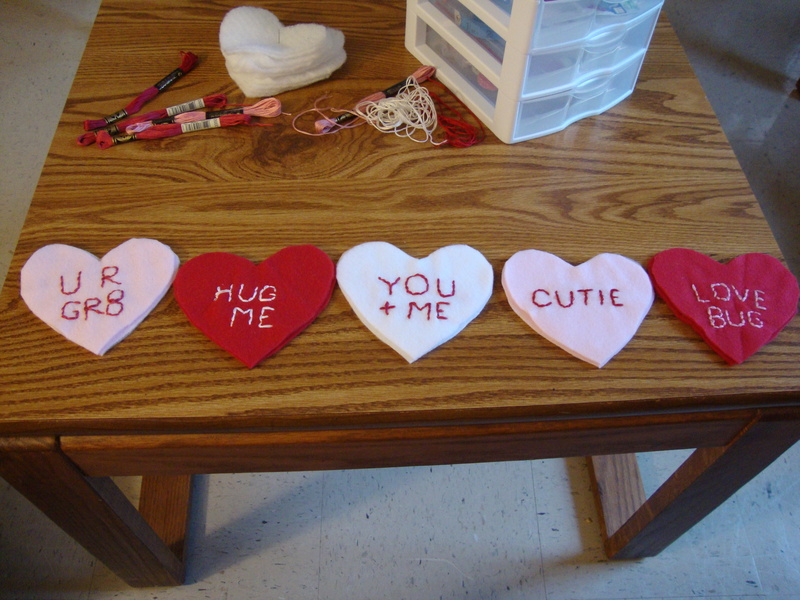 Once the hearts were cut out, I used the floss to embroider on the cute saying one would find in a Sweetheart candy box. I stuck to the more classic sayings. Though I did find one on google images that said “Tweet Me,” I held back and stuck with the ones I could remember from my childhood. “U R GR8” might be my favorite! 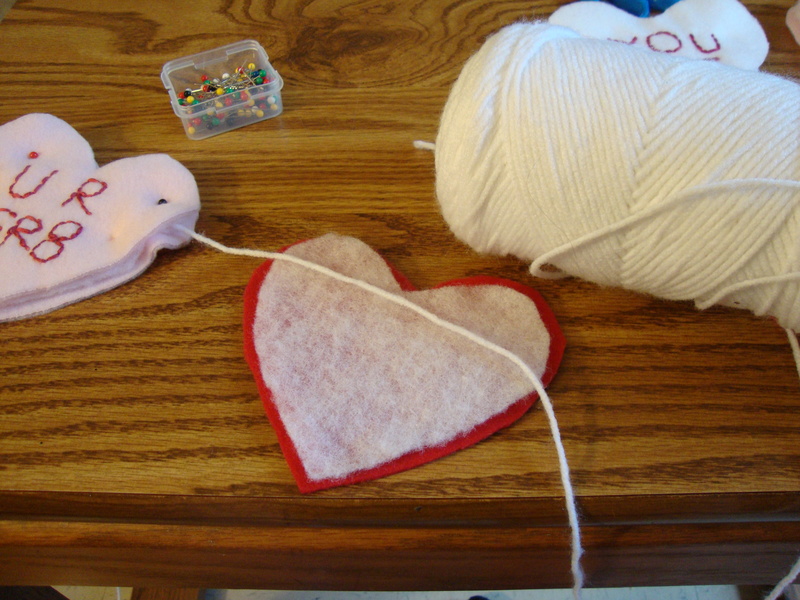 After that, I placed the backing inside the hearts. I chose to use yarn as my string that would holds the garland together, and once everything was in place, I pinned it all together. 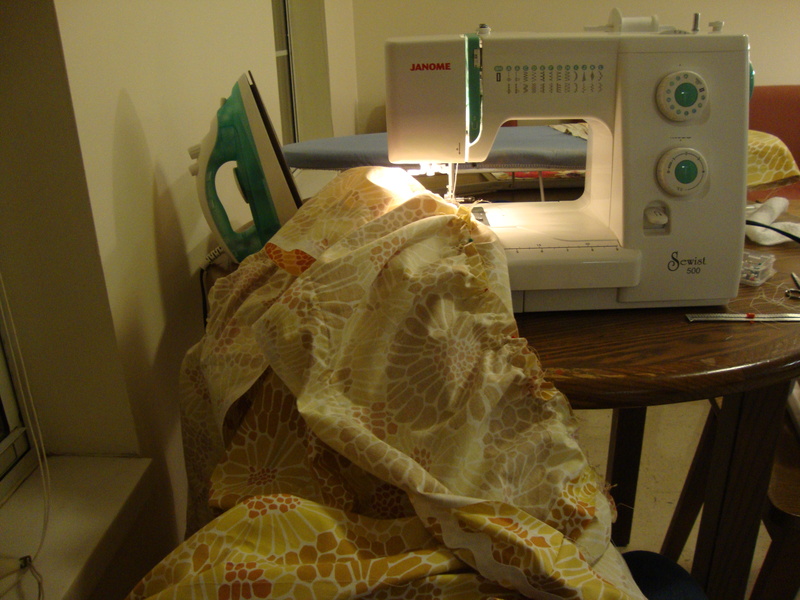 And as you can see, the sewing machine was pulled out to stitch it all in place. 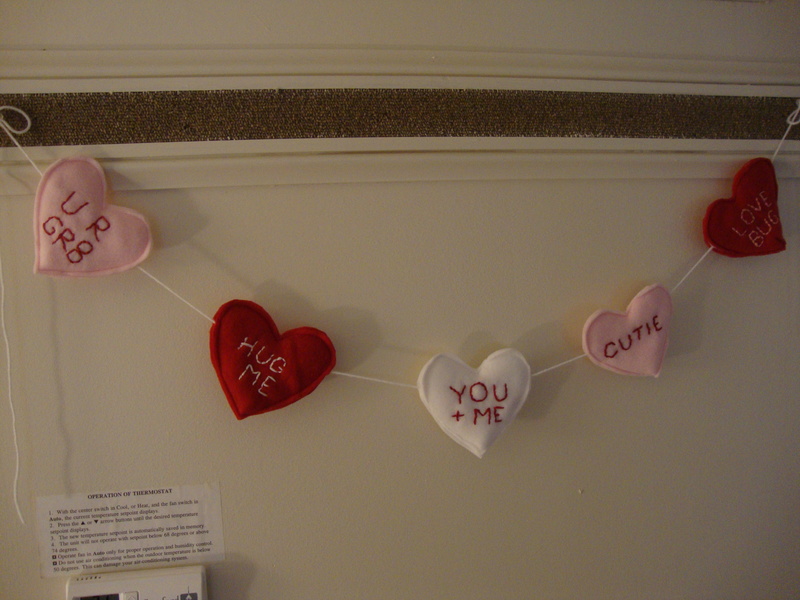 The final result is simply adorable, and adds an element of cuteness that our common room needed. In the midst of the craziness, I have been doing projects here and there, but of course, they are all Step Sing related. 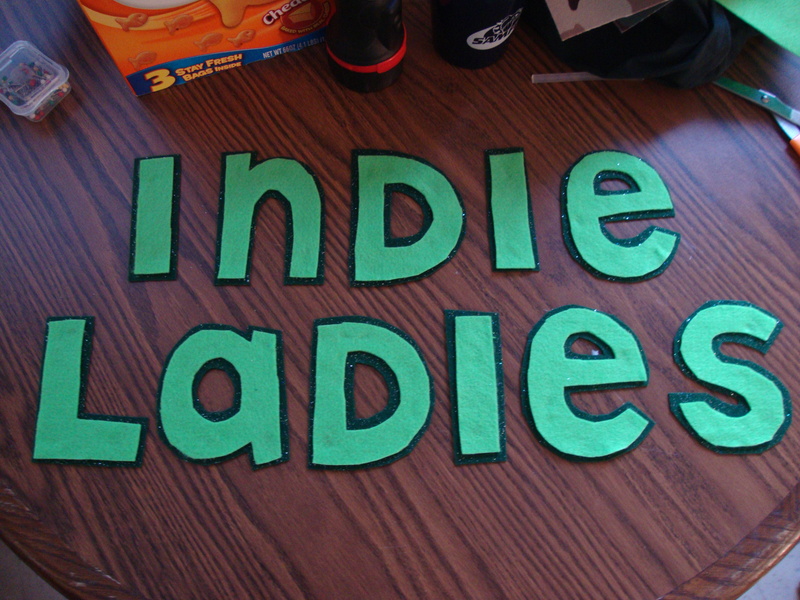 And being in the Independent Ladies’ show, everything is looking green (aka our official color). 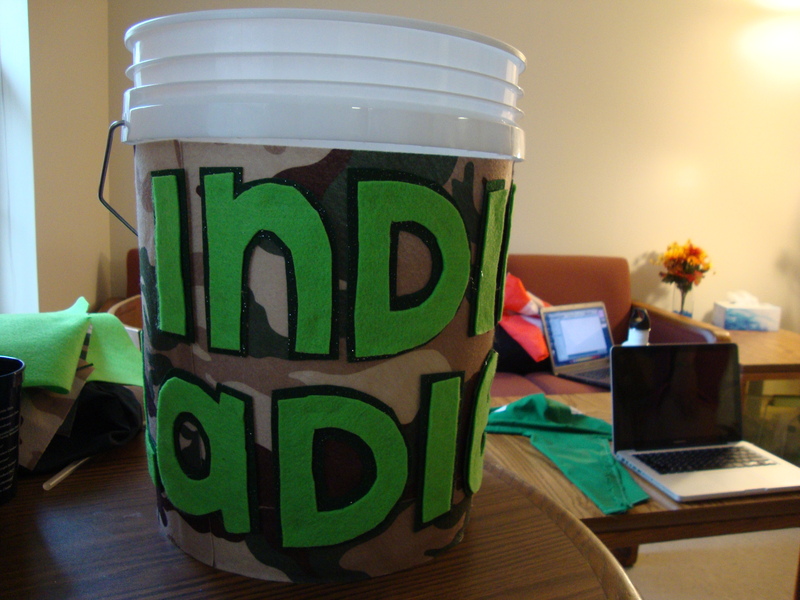 First project – I volunteered to decorate our show’s bucket we use to collect donations for the show’s charity. 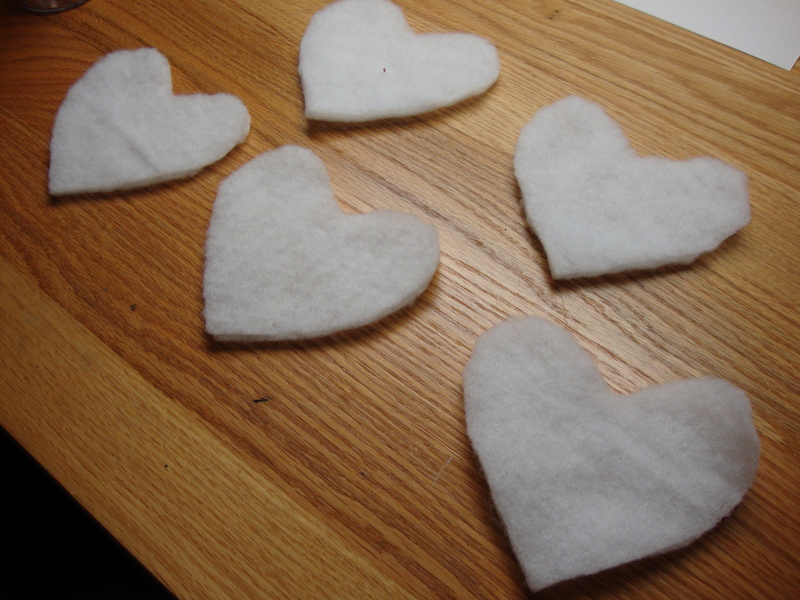 And of course, with limited time and a limited budget, I fell back on good ol’ felt. I created stencils out of basic printing paper before cutting the felt. 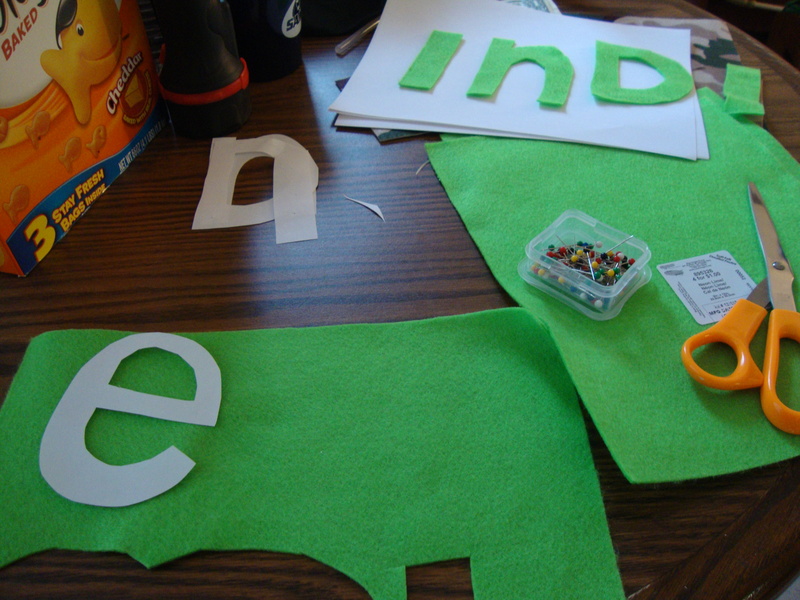 And then, to give the letters a little sparkle, I used glittery, green felt as the background. (Note – I usually despise glitter (it gets everywhere), but I really wanted the letters to pop! So I guess the sacrifice was worth it). Once the letters were done, I glued them onto the bucket that was already adorned with camo felt. The one problem I did not anticipate was the size of the letters. If I could do this again, I would most definitely make the letters smaller so you could read the whole thing without having to spin the bucket, but oh well. It’s done and I think it turned out cute. 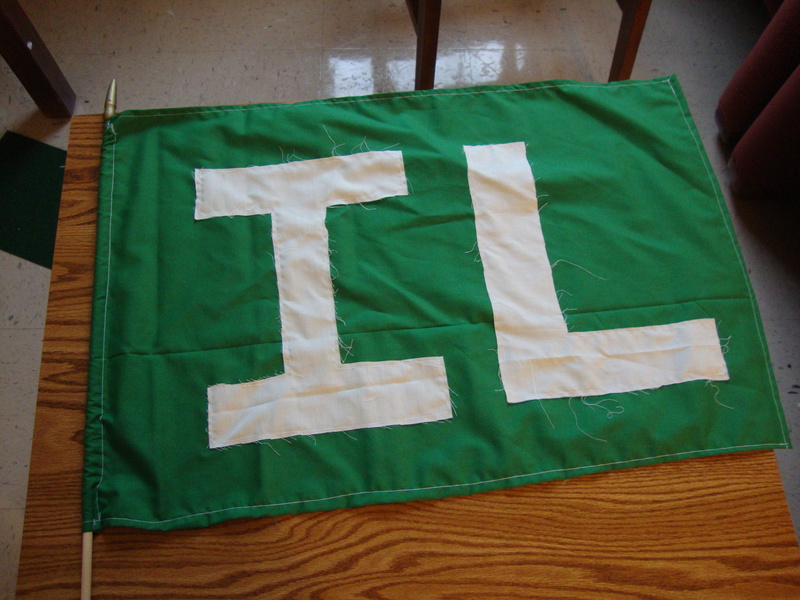 I literally made this flag in 30 minutes, so I wasn’t surprised that after two waves, the white fabric began to fray. 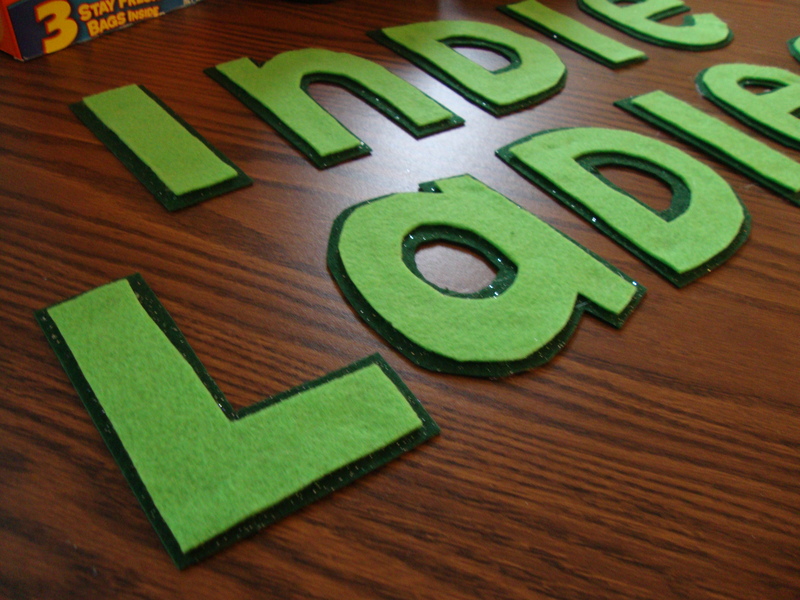 But the important thing is that it’s green and it boldly displays our letters. I bought an American flag at Walmart, and after gently removing the flag, I used the stick for my own. And finally: Encouragement baskets for a few of the other shows. 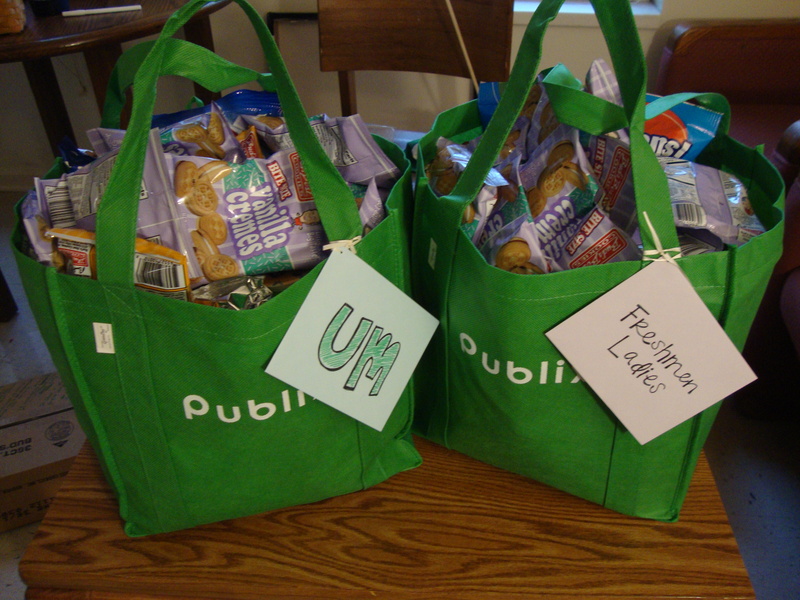 And yes, I did make a special trip to Publix to purchase green bags. What can I say, I’ve been seeing green more and more everyday. If you are in the Birmingham area next weekend (Feb. 10-12), you should definitely try to catch a Samford Step Sing show. It’s going to be amazing!